While the name doesn’t make it sound like a place where you’d want to spend much time, City of Rocks is an incredibly scenic area, with hills, huge rock formations jutting out from the ground, and a landscape covered with feathery, sweet-smelling sagebrush. The reserve is located about an hour south of Burley, though there are a number of other towns nearby, including Malta and Oakley. City of Rocks offers a truly unique camping experience, where you can sleep among the rock formations. The reserve’s campsites are equipped with vault toilets, water spigots, and fire pits. 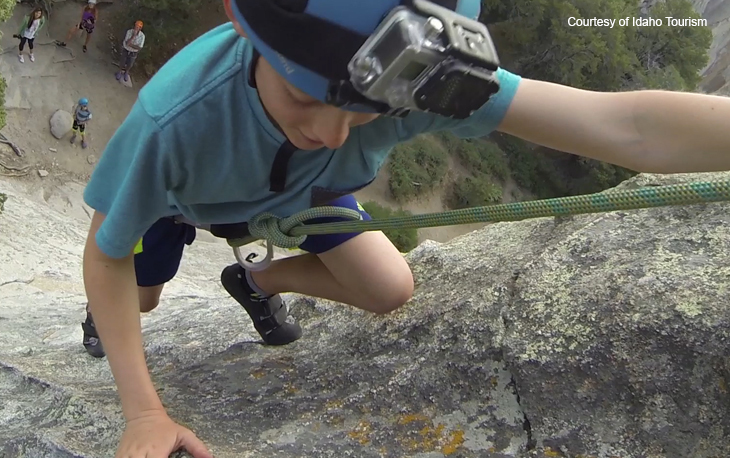 The park service offers a Climbing Experience Program for beginning rock climbers, including kids age ten and up. If that’s a bit outside your comfort zone, the park also has miles upon miles of hiking trails, including the 0.6-mile Creekside Towers Trail, perfect for all ages.